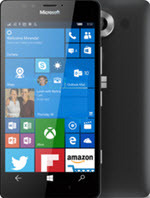 Windows 10 Mobile is a mobile operating system developed by Microsoft. It is an iteration of the Windows Phone product line and a successor to Windows Phone 8.1, but is marketed as being an edition of Windows 10. It has expanded to include almost all of the current Lumia range, such as new Lumia 950/950 XL. If Windows 10 Mobile users want to know how to play movies on Windows 10 Mobile, here's the best solution. This article will show how to free download online movies for playing on Windows 10 mobiles, how to convert a movie to Windows 10 Mobile playable formats, be it a 1080p HD, 4K UHD or 8K FUHD movie video, and also delivers the ultimate solution to play DVD movies on Windows 10 Mobile devices. It enables users to free download online movies from YouTube and other 300+ sites for Windows 10 Mobile, and also convert any movies to Windows 10 Mobile supported file formats on Windows 10, 8, 7, XP, Vista, etc. According to Windows 10 Mobile supported video formats, you can directly play movies in 3GP/3G2/WMV/MP4/M4V/AVI/MOV/MKV/HEVC (H265) video format on Windows 10 phones. If you have difficulty in playing movies on Windows 10 Mobile devices, the following methods can help you out. If you want to play free movies on Windows 10 Mobile, you can use WinX HD Video Converter Deluxe to free download movies from YouTube, Dailymotion and other 300+ video-sharing sites. 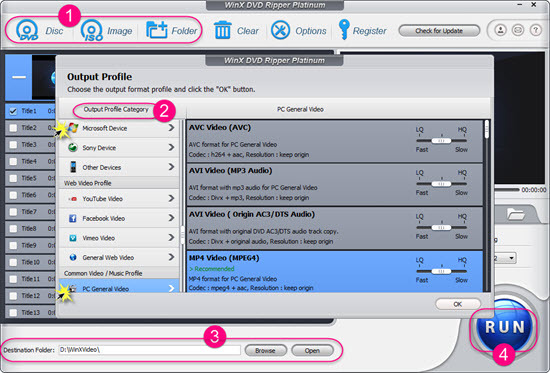 If you want to convert local movies including AVCHD MTS movie video copied from Blu-ray discs or recorded by HD camcorders and 4K UHD MKV/MPEG movies on Windows 10 phone smoothly, you can also rely on WinX HD Video Converter Deluxe. WinX HD Video Converter Deluxe is an all-in-one movie downloader and converter for Windows 10, 8, 7, etc. It is able to free download SD/720P/1080P HD/4K UHD/8K movies in FLV, WebM, and Windows 10 Mobile accepted formats MP4 and 3GP. 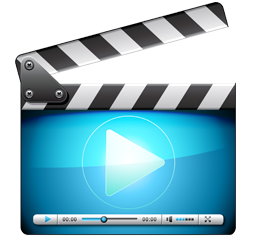 Moreover, it is capable of converting any movie videos in AVCHD, M2TS, MOD, TOD, FLV, RMVB, WebM and other Windows 10 Mobile incompatible formats to MP4, AVI, MKV and other Windows 10 Mobile supported formats. How to Play Movies on Windows 10 Mobile? WinX HD Video Converter Deluxe - Download free movies for playback on Windows 10 mobiles and convert movies to Windows 10 phones/tablets playable formats. To play free movies on Windows 10 Mobile gadgets, you can make use of WinX HD Video Converter Deluxe to free download classic and hot movies like Frozen, Cinderella from YouTube in a simple way. Step 1. 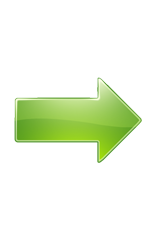 Launch this software, click "YouTube URL" to add the YouTube movie URL to the pop-out box. Note: If you don't want to convert the movie video, please uncheck "Auto convert". Step 3. Hit RUN to begin downloading free movies for Windows 10 Mobile. When the downloading is completed, you can transfer the movies from your computer to Windows 10 phones/tablets for later playback. When you can't play local movies on Windows 10 Mobile, you should think if this error happens due to video audio codec incompatibility issue or the video resolution exceeding your Windows 10 portable devices supported resolution. Take it easy. WinX HD Video Converter Deluxe can help convert any movies to Windows 10 Mobile playable formats. Step 1. Click "+ Video" to import the movie you want to play on Windows 10 Mobile. Step 2. Choose an output profile fit for your Windows 10 mobile. In addition, you can optionally customize the video resolution, aspect ratio, bit rate, etc. Step 3. Set a destination folder to save the converted movie. Step 4. Hit RUN to start converting movies for Windows 10 Mobile. As you can see, WinX HD Video Converter Deluxe is a good helper to assist playing free movies on Windows 10 Mobile and convert movies for playback on Windows 10 phones, tablets. Apart from downloading online movies and converting movies for playback on Windows 10 Mobile, you can also play DVD movies on Windows 10 Mobile. It sounds unreal, but you can make it effortlessly with WinX DVD Ripper Platinum. It is a professional DVD ripper specially designed to rip DVD movies including copy-protected DVDs to MP4, AVI, WMV, MOV, 3GP, M4V, etc. compatible with Windows 10 phones, iPhone, iPad, Sony, Android, PC, Mac, etc. You can play DVD movies on Windows 10 mobiles in five steps only: load DVD source -> specify output profile -> select destination folder -> hit RUN to process DVD to Windows 10 Mobile ripping -> transfer ripped DVD movie to Windows 10 phone. You can read article about ripping DVD movies to Windows 10 Mobile device to get the step-by-step guide. Note: The software developer only advocates ripping DVD to Windows 10 Mobile for personal use and suggests referring to the related DVD copyright laws before doing so. Best DVD Ripper for Windows 10 - WinX DVD Ripper Platinum: As a DVD ripper for Windows 10, 8, 8.1, 7, etc. and Mac OS, it helps you rip DVD movies including strongly encrypted DVDs to popular video formats (MP4, AVI, WMV, MOV, 3GP, H264, etc.) and devices across PC/tablets/phones running Windows 10, Apple, Samsung, HTC, Sony, Microsoft portable devices, etc.